Normal ice scrapers and snow removers just don't remove enough snow with each scrape, and you have to either push or pull in order to remove the debris from your car. 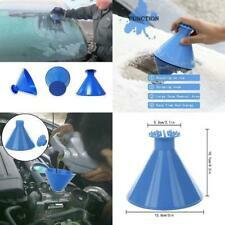 1PC Windshield ice scraper. Plus, its unique cone shape makes it extra comfortable to grasp and use. Snow problem! The Snow Joe snow broom model SJBLZD makes quick work of removing the snow piled on the roof, hood, trunk or windshield of your vehicle. 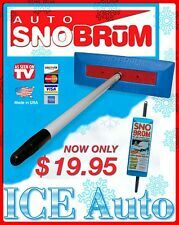 Its patented dual-purpose design features an oversized 18" wide broom head on one end & a built-in ice scraper on the other, so you can quickly push heavy, wet snow off your car, truck or SUV, then clear away the ice build-up on your windshield with just one tool. 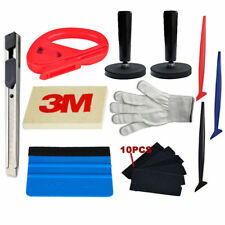 Windshield Snow Removal Scraper Ice Shovel Window Clean Tools. --- In winter, car essential supplies, easily remove the thick ice, snow. --- Winter snow removal and other clean car de-icing work. About Item. Remove the frost or snow from top to bottom or left to right. Function: Shoveling Ice, Scraping Water, Sweeping Snow. Besides removing snow from cars, you can also use it to sweep electric vehicle, bicycle, and house, door, window covered with heavy snow. The Ice Master clears hard ice and frost and cracks thicker ice. Four blade positions allow the Ice Master to perform in the worst icy conditions. The blades lock in three different ice-scraping positions, and the ice-breaking teeth provide the fourth ice removal option. Ice Scrapers by Travel Gear. The Shuttsco Snow Rake is 18” Wide x 5-3/4’ Tall and made of soft non-abrasive foam around a maple wood block & a 48" wooden pole. Great for new or used car dealers and strong enough even on the heaviest of snow. Prestone Windshield De-Icer 11 Oz. LOT OF 8 BOTTLES. LOT OF 8 BOTTLES. HEAVY DUTY ICE SCRAPER. NEVER USED! New Hopkins "Hoppy" 16211 Subzero 10" Ice Ripper Ergonomic Ice Scraper. Ergonomic, rounded handle for greater grip power. MADE IN USA. Thumb button allows application of more pressure to the blade. 15" Comfy Mitt Ice Scraper Fleece Lined Glove Car Windshield Snow Remover Vehi.. This mitt with ice scraper is as its described, comfy. Super strong polycarbonate blade<(replaced)fortable foam handle inside mitt. Washable mitt. 1 x Snitty Cutter. 1 x Wool Felt Squeegee. 1 x Felt gold Squeegee. 4 x Gripper Magnet holder. All of the pictures you see are of the actual item you will be receiving. 36"-52" Broom, Scraper & Squeegee. The Ice Scraper features an ice scraper and jaws. Use the jaws to break up the ice, then use the scraper to remove it. Extra wide blade with convenient squeegee. Heavy duty broom for snow. Fits any Broom handle or Extention Handle. Features patented edge for easier and faster scraping action. Scrapes in any direction with speed and comfort, allowing you to clear ice and frost off the window more easily than a conventional scraper. Screenprint reverse Peterbilt logo in white. Durable polypropylene plastic scraper with EVA foam grip handle. Broom With Integrated Ice Scraper Remover. Crossover Super Duty Snowbroom is equipped to clear ice while reaching across the windshield using the curved power pole that gives the proper angle of attack needed to remove ice effectively and efficiently. It has palm pad grip and is sold individually. This snow scrapper is a good quality, durability and lightweight solutions. This10" Ice Scraper features a comfort foam grip and heavy duty unbreakable scraper blade. It is the perfect tool to get the job done when ripping away ice and sleet. Quickly de-ice your windshield this winter with the SUPER TECH Windshield De-Icer. Windshield de-icer. SUPER TECH. FITS ALL SHUTTSCO SNO RAKE HEADS ( 12" and 18"). THE LONGEST SNO RAKE HANDLE/POLE AVAILABLE FROM. PRESTONE WINDSHIELD DE-ICER --- Methanol is considered the most effective alcohol for melting ice --- The high methanol content in Prestone Windshield De-Icer ensures strong ice melting power --- Prestone De-Icer Spray's specially designed, micro-edge ice scraper can withstand tough use --- The polycarbonate blade is stronger than conventional plastics found in many scrapers --- You will receive 2 cans of De-Icer-17 oz per can --- Ideal for Cars Parked outside- Home or Work --- Melts Ice Fast --- Helps Reduce Dangerous Re-Freeze --- Rugged Scraper Attached --- De-Ices Windshield and Wipers --- Wind Resistant Spray --- Harmless to Car Finish About Us Feedback . The shovels are available in black, olive, orange, yellow, blue and red. 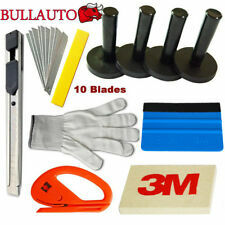 WINTER PREPARATION: Weather can be unpredictable, and everyone has ice scrapers and snow brushes in their cars, don’t be caught unprepared for when you might need to dig out your car after that winter snow storm, add a Lifeline Aluminum Shovel to your list of winter weather driving preparation accessories. Shovel and brush in one design, the shovel can be detachable, convenient and easy to use, suitable for various types of cars. Width of the Shovel: approx. 3.86" (9.8cm). Shovel head: high-strength ABS plastic material, good toughness and will not scratch the car. The SNO BRUM head is made of high grade durable foam and cross linked polyethylene. Drivers can easily push heavy snow off the hood and trunk without scratching the paint. The durable molded polyethylene foam head has been lab tested for non-abrasiveness, freeze resistance, center load stress, and durability. The scraper heats up in 2 minutes, and it has a 14-foot cord, so that you can easily scrape the ice off your entire windshield. 1 snow rake with handle. DURABLE LIGHTWEIGHT PORTABLE SNOW SHOVEL. It's easy on your hands even when moving a lot of snow. With unbreakable ice ripping scraper. Hand-size ice scraper. 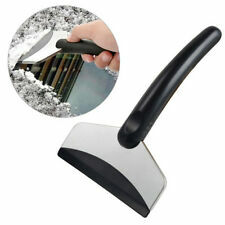 Ice Scraper with Glove Thick bristles make brushing snow and ice quick and painless. 1 x Wool Felt Squeegee. 1 x Felt gold Squeegee. 1 x Snitty Cutter. When winter storms hit, drivers have to plan extra time for travel, not to mention the time it takes to clean the snow and ice off the car. A scraper and snow brush can speed up this process getting the driver on the road faster. These products are easy to use, do not damage the glass, and are convenient to store in the car. What is the difference between an ice scraper and snow brush? A snow brush helps drivers remove snow from their vehicles. It consists of about three rows of soft plastic bristles attached to a handle that is long enough to push snow off vehicle. A scraper has a plastic blade connected to a handle that drivers use to remove ice from a vehicle's windshield and windows. Often, these are combined into a single tool, snow brush on one end and scraper on the other. What are some features of ice scrapers? Small models are roughly ten inches in length, just long enough to fit into a hand. These are most useful in areas that get more ice than snow and easily fit in a glove box or under the seat. Other scrapers are larger with a handle length anywhere from two to four feet. These usually have a blade on one end with a snow brush on the other. Some features of ice scrapers are detailed below. Telescoping style: Scrapers with long handle lengths often are adjustable. The handle consists of separate rods, one inside the other, that can extend out and lock in place by twisting. Gloved handle: This design provides extra protection against the cold as the handle is actually built into a bulky glove. Squeegee: Double-sided styles have a blade pointing one direction and a squeegee facing the other on one end, still with the snow brush on the opposite end. This is useful for slushy snow and ice combinations. Rubber grip: Regardless of the handle length, most scrapers and snow brushes have a section of the handle covered in rubber to help the driver hold onto the tool and scrape at different angles with enough force to clear the window. What are some features of heated ice scrapers? With an approximately 15-foot cord, heated ice scrapers attach to the car's cigarette lighter or 12-volt outlet. These save time and energy as there is no actual scraping involved. The heating element melts the ice and snow as the user simply moves the device along the glass surface. Do ice scrapers damage car windows? While they can cause scratches when used on other parts of the car, ice scrapers are specifically designed to safely scrape the ice without hurting the windows and windshield. On many scraper models, the blade has a slight curve to it, similar to that of the window, to help remove all of the ice and snow.